Our appearance and smile often speaks before we do. Does your smile reflect the real you? At Orthodontics on Silverlake (OSL), braces are still a viable option for many of our patients. Whether metal or clear, braces are fixed to your teeth, and a series of wires are used to make the necessary bite and cosmetic corrections to achieve the planned goals of treatment. Less treatment visits and flexible scheduling. Great for busy moms! The corrections that can be made with Invisalign(R) are truly amazing. My team and I at OSL enjoy seeing our patient’s progress through treatment and celebrate with them at their finish. See Sam’s before and after pictures below. 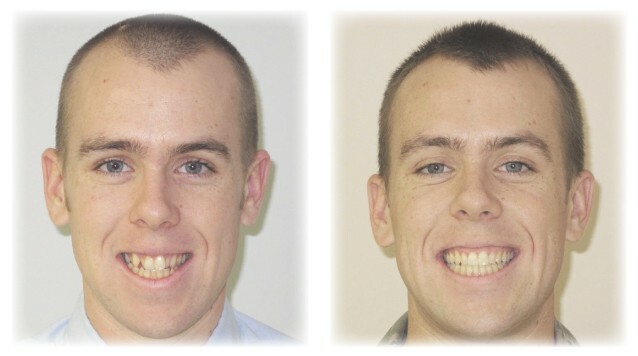 He was treated with Invisalign(R) for 14 months. Call us at Orthodontics on Silverlake (OSL) @302-672-7776 to schedule your consult with Dr. Steckel today. 2Tuncay, O., Bowman, J., Amy, Nicozisis, J. “Aligner Treatment in the Teenage Patient”, JCO Volume XLVII, No.2 2013. Amy makes a Great First Impression –Without the Goop or Gag! 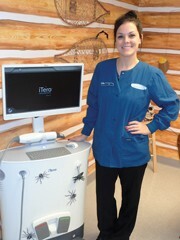 OSL uses iTero technology to take digital impressions. It is a scanner that generally takes an average technician 11 minutes to capture a full arch but with Amy’s expertise and accuracy, she has completed a scan in an amazing time of 3 minutes and 23 seconds. Using the iTero and Amy’s efficiency provides our patients with a more comfortable experience without the typical gooey mess of traditional dental impressions.